“The Royal Society for the Prevention of Cruelty to Animals Queensland (RSPCA Qld) is the state’s oldest, largest and leading animal welfare charity, dedicated to improving the lives of all domestic, farmed and native animals throughout Queensland. We are the leading animal welfare charity in Queensland, currently rehoming more animals than any other organisation in the Southern Hemisphere. As a non-government, community based charity, we are the only charity with the power to prosecute animal cruelty and neglect. We care for displaced domestic pets across the state as well as native wildlife patients in our Brisbane RSPCA Wildlife Hospital. 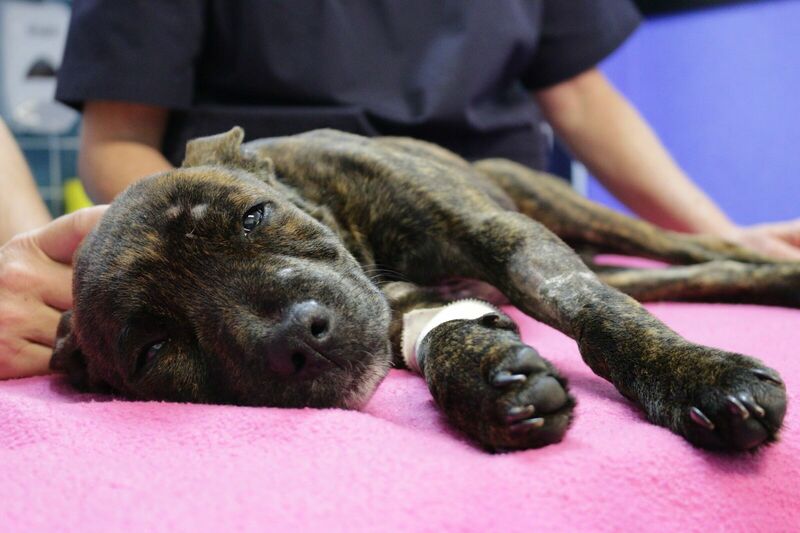 Our campaign #EvieMatters is no different, little Evie the Staffordshire Bull Terrier pup came into the RSPCA with extensive injuries to her face, head and hips. Evie was even forced to learn to walk on her front legs in order to avoid the pain of taking simple steps. Evie will undergo vital specialist vet surgery this week but her road to recovery will be long and expensive. Chuffed’s platform gave us the ability to have a fundraising page up for Evie in a matter of hours, as well as being able to take and process donations immediately thanks to their Stripe plugin. Even providing our sponsors with immediate tax invoices is handled through Chuffed’s sophisticated system and for us this has meant taking the administration burden off our accounts department. “I lost my beloved dog, Gus, at the grand age of 17 ½, in September last year. I swore I would never get another dog. But then. . .along came Oscar who managed to wheedle his way into my sad heart. 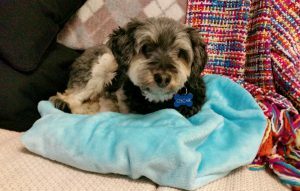 Oscar is an 8yo Schnauzer / Poodle X whom I adopted just six weeks ago from Saving Animals From Euthanasia (SAFE) in Perth. He has had a rough few years. Oscar’s first human was an older lady who had to go in to care. He was then passed from pillar to post & has spent the last 3 or so years in a back yard where he was fed & watered & that’s about all. Despite all this, Oscar is the dearest little dog. He has bonded very quickly with me & loves a cuddle & as the weeks go by I see more of his lovely personality. I will now do everything in my power to provide Oscar with a safe, secure & loving home to make up for the past few years. But Little Oscar has very little vision due to cataracts. While he is coping remarkably well, it does affect his confidence. He is quite tentative & anxious around other dogs & is easily startled. However, once he feels safe, he is very friendly. 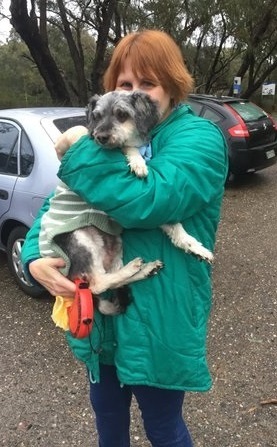 While Oscar is not a young dog he potentially has another 8 or so years of life left & I would like to give him the quality of life he deserves. Oscar has seen eye specialist, Dr Rob Harris, who feels that Oscar is a good candidate for surgery. As you can imagine, eye surgery doesn’t come cheap. Unfortunately, due to my own health issues over the past few years, my financial position is not great. So I turned to Chuffed crowd funding to try to raise the money needed for Oscar’s surgery. I have been incredibly humbled by the generosity of people. . .some who don’t even know me. It is encouraging & so very heart-warming to be on the receiving end of such generosity. Sometimes people think that they can’t afford very much but any contribution, no matter how small, is a step closer towards a brighter future for Oscar. Check out Rosie’s campaign below! Love fresh, local food? Build Farmwalls! “At the start of 2016, I made a decision to only pursue the things I love, while making an impact on this world. I quit my sales job and began the search for finding my natural aptitudes. Looking to my past, I was always passionate about building ecosystems. In my youth, that meant making fishtanks and building ponds for my turtles. Today, it’s translated into Farmwall. For as long as I can remember, I’ve had an intense frustration with waste and unethical food practices. We have all the resources to produce food more in-line with nature, but we prioritize cost-cutting and time-saving over the environment. This was the beginning of our mission to transform cities into food producing ecosystems. But creating a sustainable ecosystem where we can work and play in cohesion with nature, relies on a serious attitude change. 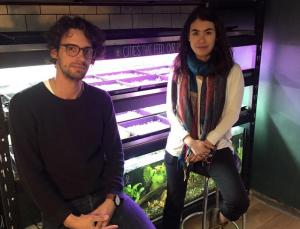 To trigger this, we thought of designing a scaled down, indoor farm for cafes and restaurants. The thinking behind it was, If we have to start small, how can we have the largest reach? By growing fresh herbs and microgreens inside cafes and restaurants, we can reduce packaging waste and high food files while introducing quality and freshness into Melbourne’s hospitality scene. Farmwalls are in essence, a communication tool to reconnect patrons with the origins of their food. The Farmwall principle has endless possibilities, we’re starting off in hospitality, but our future places us in all sorts of markets. We’ve got a big vision and believe that through scale, we can really make a difference to redesign our cities to be food and water resilient, giving back to the people as well as the environment. We plan to build an urban aquaponic farm that delivers on the chef’s needs for local, sustainable produce while acting as a base for our educational, social and environmental programs. We’ve got an amazing team, all driven by the same passion for sustainable food production. We cover a range of skills covering industrial design, sustainable architecture, culinary expertise, software development, engineering and commercial aquaponics. Through combining the best of our abilities to bring the vision to life, we’re on a strong trajectory to inspire and make a real difference. “The NSW Alliance For People Seeking Asylum is a group of four NSW based service providers working with people seeking asylum and refugees. The alliance has been working together over the last year to ensure services are coordinated to deliver the most effective response to people in need. The four organisations include: the House of Welcome, the Asylum Seekers Centre, Jesuit Refugee Service and the Refugee Advice and Casework Service. The Alliance has launched a chuffed.org. 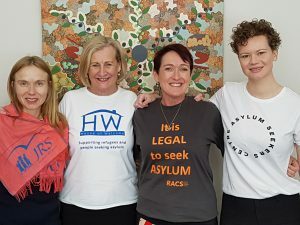 campaign to raise funds to ensure people affected by the recent Australian Government decision to remove the safe housing and living allowance from 100 people who have been held on Manus Island and Nauru and who are now living in the Australian community. To date, in NSW, there are 20 people who have already had their living allowance removed and have never been given the right to work until right now. They were given 21 days to find a safe place to sleep and a job to support themselves, with no assistance. In Victoria, the state government has pledged to support those affected. But, in NSW, this support is being left to be provided by these already stretched charity services. 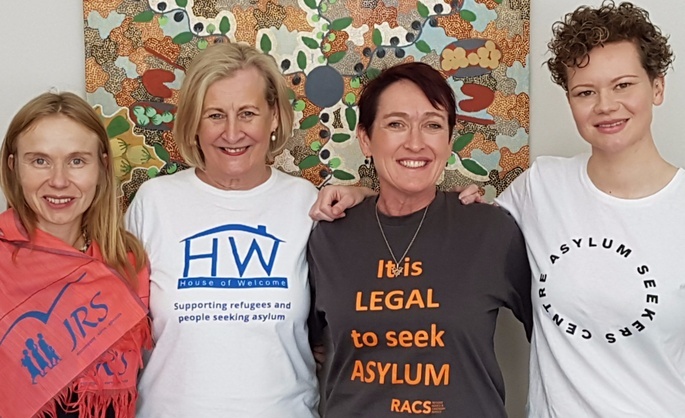 The NSW Alliance for People Seeking Asylum – our combined 90 staff and 703 volunteers – are committed to ensuring that people have their basic needs met. But we need financial assistance to do this. It will cost $93,000 to meet the immediate needs of the first 20 people affected for the next 6 months. a basic weekly living allowance. We will work with our specialist volunteers in the medical, dental and legal fields to ensure each person affected receives specialist pro bono support. Our initial target is to cover the first 20 people in NSW who are affected, but we hold grave fears for an additional 300 people in family groups living in Australia who are at the Federal Government’s whim, and are likely to need the same assistance very soon. Meet Alizé Aversano, Chuffed.org’s Community Leader from Geneva. Alizé has travelled, and has worked in South America supporting social businesses. 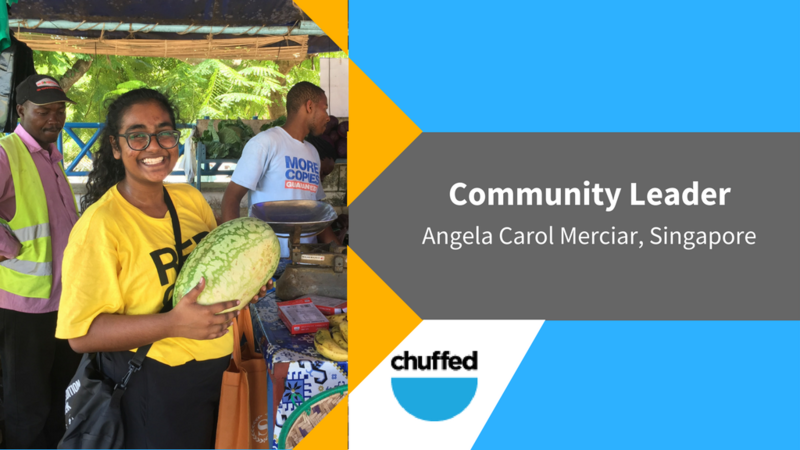 Read how crowdfunding helped her make a huge impact on the communities she’s worked with – and see how her amazing journey began! I’m a 28 years old Swiss citizen and I am passionate about social impact since my university years. After working for 2 years as investment advisor in an impact investment fund in my hometown Geneva, I have decided to begin the most exciting and challenging experience of my life so far and flew to Latin America in 2015 in order to be “on the field” and work directly with social entrepreneurs instead of from a fancy office in Switzerland. This is how I ended up working as an analyst for an impact investing fund based in Colombia for the past year and a half. From coffee and cocoa plantations to organic tomatoes and sustainable fishing and through infinite bus journeys on bumpy roads between the Peruvian jungle, Ecuadorian mountains or Costa Rican Pacific coast, my journey couldn’t have been any richer so far and I would love to share it with you! I have myself hesitated way too long before starting my own campaign and joining the Chuffed.org community made me realize that you don’t need to be a fancy entrepreneur with 10 years of experience to generate impact around you and do something about a cause that matters to you. In fact, the more people act, the more social impact can be generated and the bigger the move towards a better and more sustainable world. I’d love to be part of that change by sharing my experience and motivating people to join the incredible Chuffed.org community! My crowdfunding journey began while I was going on a routine work trip to Peru and met with banana producers and coffee growers that appeared to be heavily affected by floods which was devastating the region and destroying their economic activity for a few months. Later, when I heard that the same people that were just fine a few months ago had lost everything, I knew I had to do something and this is how I started my first crowdfunding campaign. Being in contact with a local organization was really helpful in having a direct impact on the community and we managed to provide basic food supplies for 377 families on the ground with more than CHF 4,000 raised. It was also incredible to see how many people were supportive of the campaign, even people I had never met donated and I received so many supportive messages from everyone! I’d definitely do it again! “Give him a fish and you will feed him for a day; teach him how to fish and you will feed him for a lifetime”. I am a strong advocate that if we want to help, we need to build sustainable solutions and I am really passionate about the concept of social businesses, those that are financially sustainable and provide goods and services that change lives. This concept can be applied to any sector, from health to education or energy! In April 2017 I launched my first ever campaign with Chuffed.org to support the people affected by heavy floods in Peru. In 20 days we raised more than CHF 4,000 – more than the initial objective of CHF 3,000 and have provided 377 families with food supplies. I’d probably donate it to one project that inspires me within the workshop participants! 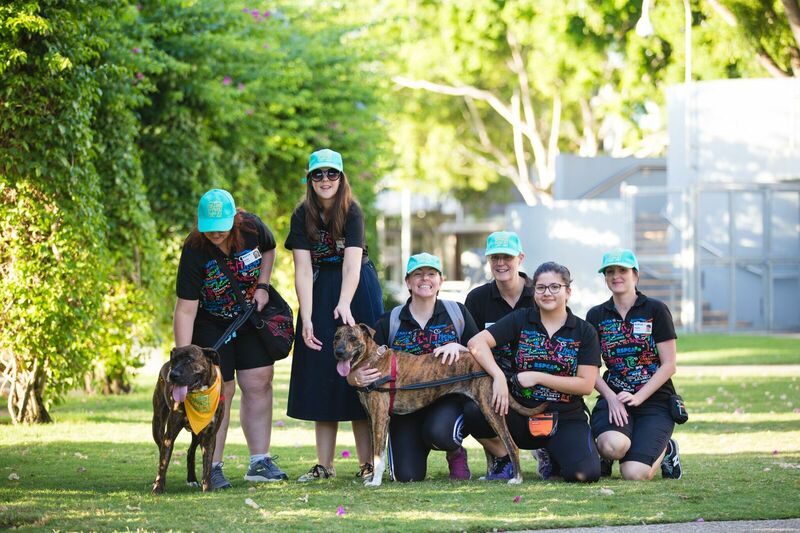 “We are a team of five women in Western Australia, among 80 participants worldwide, selected to take part in Homeward Bound 2018. This intensive 12-month leadership program for women in science culminates in a voyage to Antarctica in February 2018. Why did we apply to Homeward Bound? Each of us has a strong desire to strengthen our leadership voice and to influence policy as it affects the future of our planet. One of the appeals of Homeward Bound program is that it focuses on higher-level leadership skills, including visibility, strategic capability, and policy and decision-making. And, of course, Antarctica is definitely a drawcard. 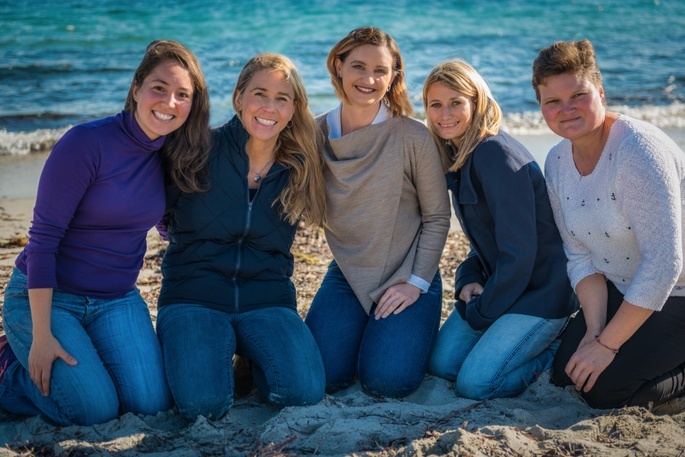 We’re thrilled to have a chance to experience the world’s southern-most continent, not as tourists, but as a committed band of women in science with a shared vision to have a greater impact promoting gender equity and sustainability action. Team WA Homeward Bound 2018 reflects the international makeup of the larger program and represents a wide range of science disciplines, interests and experiences. Our Team WA Homeward Bound 2018 has served as a microcosm for the triumphs and challenges that arise when working collaboratively. While we all have a background in science, each of us has a very different working style and brings different life experiences to the team. We’ve had to learn how to manage expectations, listen, speak up and let our individual voices be heard. We’ve also had to learn how to effectively reach consensus and negotiate in the decision-making process. “Since before I can remember, I have had some involvement with KCC (Kings Community Church). The place and the people have changed over the years but the desire to serve the community has always been there. From groups for mothers and toddlers to regular groups for the elderly, KCC has sought opportunities to provide the residents within it’s community with a vital and much needed haven to meet and socialise with others. The years of service have taken its toll and the many cars, mini busses, prams and tiny feet that carry the many people who use the building, have caused the driveway to deteriorate. The people who attend these groups are now having to manoeuvre around potholes and cracks to gain access and it is becoming unsafe. Learn more about Phil and his race to repair the KCC driveway on his crowdfunding campaign page! I am a soon-to-be graduate from the diploma of Business and Social Enterprise. In my final year, I was working on an internship in Kenya. Whilst there, I met many locals and discovered issues such as compromising hygiene due to the lack of access to resources, that are not as predominant as it is here in Singapore. Upon discovering the issue about lack of sanitary pads, I decided to meet the immediate need of school-going girls first. Purchasing those pads became a huge factor in considering to drop the project due to financial pinch. When I decided to try out crowdfunding, I discovered the ease of it being able to reach out to the people who are passionate about your cause, without having them to physically drop their help into a coin-box. I was able to surpass the goal she set before the campaign even closed. With that vast support and guidance I gained from many around, I hope to share the knowledge with new aspiring ones in Singapore. I wanted to meet more like-minded people to bounce solutions around and put in small efforts to create changes like a ripple effect. I was looking to raise funds in different ways through my school like setting up physical booths and going door to door, but my lecturer helped me realise that this would require way more resources whilst crowdfunding could be ongoing for days and reaches out to people beyond our physical limitations. I looked around a couple of websites to learn how crowdfunding works and realised that it could be a viable way for me to fund my project. Crowdfunding exceeded my expectations! Education, because it is every child’s right to be equipped with enough knowledge to make the best decisions for themselves, regardless their environmental and economical limitations. Funds will go to my Wing Her to School project, which you can find out more about here. I will be re-launching the campaign soon. A Place to Find Help for The Hako Women’s Collective, by PiCCA! 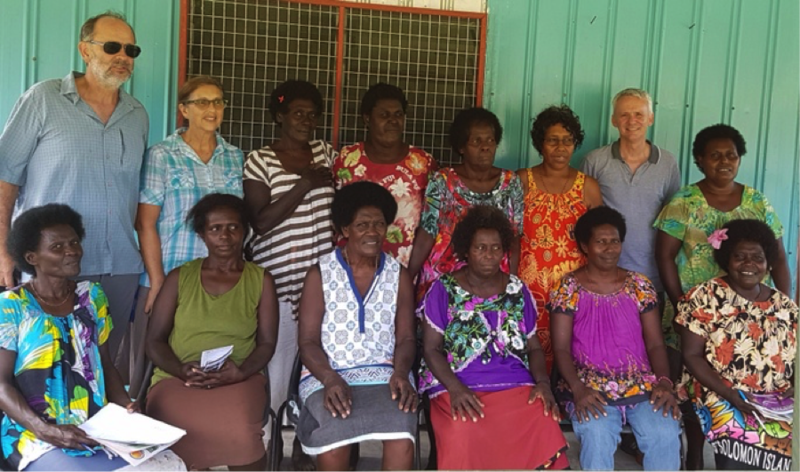 “Partners in International Collaborative Community Aid (PiCCA) is a small Australian not-for-profit in partnership with a collective of amazing, resourceful and resilient women in Bougainville called the Hako Women’s collective. Together, we have launched a crowdfunding campaign on Chuffed.org to raise funds to build a Community Care Centre which will serve the population of about 60,000 people who live in and between the six villages in the Hako region on the northern tip of Buka Island, Bougainville, Papua New Guinea. The centre will be called ‘Luman Hipakoko’, or ’ Place to Find Help’, and will be used to run a women’s refuge and to deliver a series of education, health, parenting, disability and human rights programs and activities, among others. The Hako Women’s Collective has been operating for over 10 years from a very small building without toilet facilities. The new centre will include a large meeting space, a toilet, bathroom, kitchen, and also canteen, so they can start a catering business to help fund ongoing costs. It will also house a “Meri Safe Haus” for women and children escaping domestic violence. Bougainville is a beautiful island and the people of Bougainville are warm and generous. The community is still however grappling with enormous issues including the trauma of the recent war, interrupted education pathways, poverty and violence. The women in the Hako Women’s Collective are taking all this in hand and working very hard to build a stronger, healthier, safer community and to enhance life opportunities for the next generation. PiCCA have already contributed $23,000 to help them build the Community Care Centre but they still need another $26,000 to get the job done and so we are turning to the idea of crowd funding. All donations over $2 are tax deductible in Australia and all monies received by PiCCA go to the project (the work of the PiCCA team is all pro bono and we do not deduct administration costs as we believe that donors money should be spent where it is intended to be spent: in and by the community it is designed to assist). I have been working in the events industry for ten years. I have worked in partnership with charities and non-profit organisations as well as music festivals and television production. I have a real passion for music so in my spare time I’m making it or dancing to it. Living in Bristol has been a real joy and has allowed me to discover some fantastic organisations and social causes. 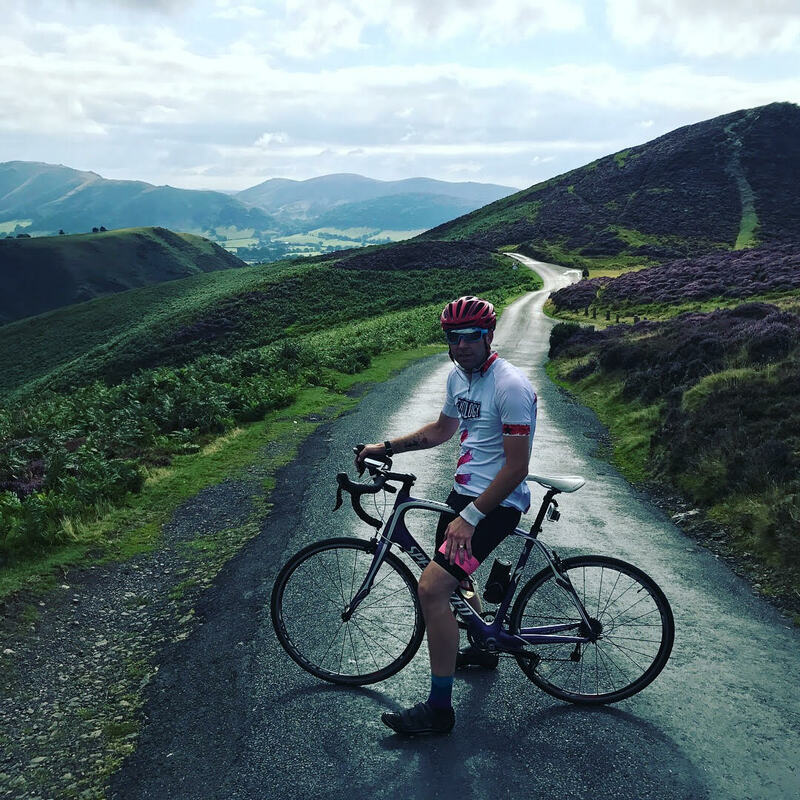 Why did you decide to become a Chuffed.org ambassador? 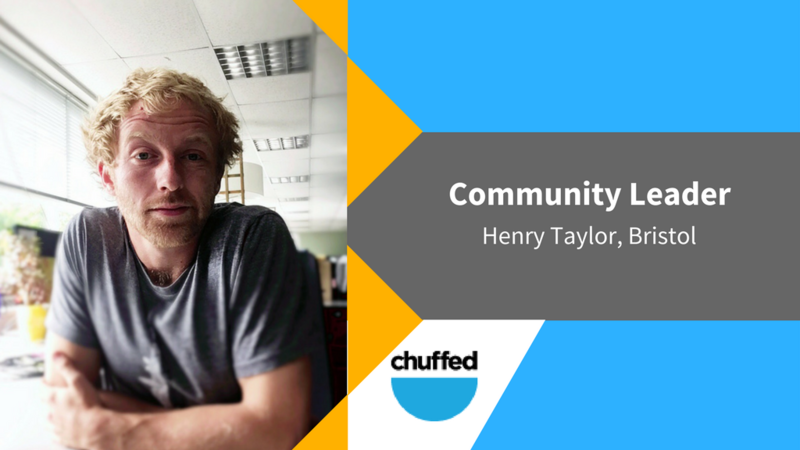 I wanted to become an ambassador because there are so many inspiring projects I know of that could benefit from the support and expertise that Chuffed.org offers. Becoming an ambassador seemed like the best way for me to offer support to causes I care about. knew people who had raised money and awareness for their organisation through crowdfunding. I overheard that a local non-profit organisation was going through some financial troubles, so I offered to help start a campaign. A friend sent me an advert for a Chuffed.org crowdfunding workshop happening nearby and thats where it all started. I am really passionate about causes that support the homeless and those going through drug and alcohol rehabilitation. This is because they are challenges that are having a huge impact in the area I live and only stand to get worse if governmental cuts continue as planned. I am currently working as the Event Coordinator for a CIC (Community Interest Company) in Bristol. As well as my work in events, I have assisted several startup organisations with marketing, branding and event promotion over the last few years. I have assisted in the setup of a crowdfunding campaign earlier this year and am now consulting two other organisations with their campaigns. I will be able to share any learnings from these experiences!